Pharmacogenomics (PGx) is an emerging field that combines the study of genetics with the science of drug delivery. Pharmacogenetics, a similar field, is the study of inherited genetic variations in drug metabolic pathways that can affect how an individual responds to drugs. Since everyone responds differently to medication, PGx testing can help predict how a patient may respond to drug therapy based on their DNA. 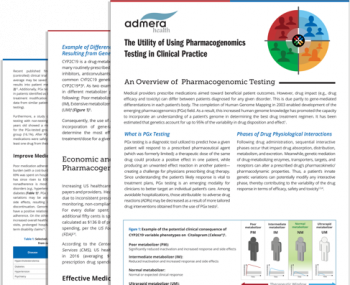 Pharmacists, because of their specialized training, are in a unique position to help patients, physicians, and other healthcare professionals to understand the benefits of using PGx testing and to provide guidance on reports. help bridge the gap between patients and pharmacogenomics testing by explaining the benefits of this new technology. 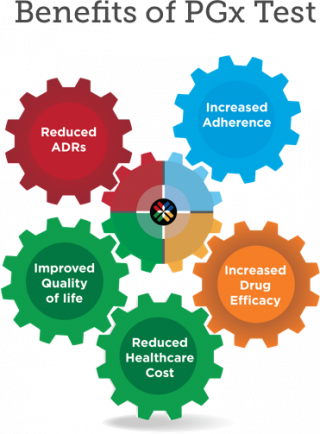 By educating patients, physicians, and other healthcare professionals about the benefits of PGx testing, pharmacists can assist in the reducing the frequency of ADRs in patients. Pharmacists can recommend the appropriate dosage adjustments or alternative medication to help benefit the patient. Due to their distinctive training, pharmacists are uniquely qualified to help identify the right patient to offer PGx testing to. Interested in learning more about pharmacogenomics? PGxOneTM Plus is a 50+ genetic test that encompasses over 200 variants and provides actionable recommendations of over 300 drugs spanning 20 therapeutic areas. PGxOneTM Plus provides clear, color coded clinically actionable reports that categorizes over 300 medications spanning over 20 therapeutic areas based on a patient’s DNA profile. Using the latest advancements in Next Generation Sequencing technology, results are ready in 7-10 business days from sample collection to report delivery. PGxOneTM Plus provides information and recommendations on patients’ medication regimens. 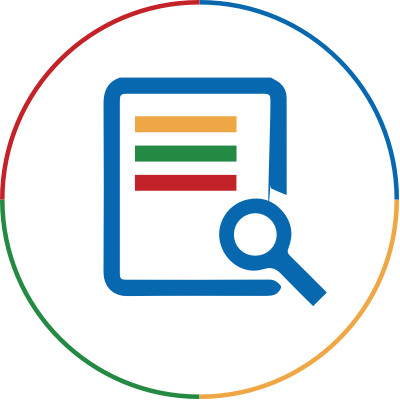 Included in the PGxOneTM Plus report is a list of drug interactions for a patient’s current medications, the level of severity and clinical recommendations. The level of severity for drug interactions is reinforced by the level of evidence currently available in the literature. Kitzmiller, J. P., Groen, D. K., Phelps, M. A. & Sadee, W. Pharmacogenomic testing: relevance in medical practice: why drugs work in some patients but not in others. Cleveland Clinic journal of medicine 78, 243-257, doi:10.3949/ccjm.78a.10145 (2011). Wang, L., McLeod, H. L. & Weinshilboum, R. M. Genomics and drug response. The New England journal of medicine 364, 1144-1153, doi:10.1056/NEJMra1010600 (2011). Samer, C. F., Lorenzini, K. I., Rollason, V., Daali, Y. & Desmeules, J. A. Applications of CYP450 testing in the clinical setting. Molecular diagnosis & therapy 17, 165-184, doi:10.1007/s40291-013-0028-5 (2013). Centers for Medicare & Medicaid Services. National Health Accounts Historical. Available at: https://www.cms.gov/Research-Statistics-Data-and-Systems/Statistics-Trends-and-Reports/NationalHealthExpendData/NationalHealthAccountsHistorical.html. Accessed January 8, 2019. Brixner D, Biltaji E, Bress A, et al. The effect of pharmacogenetic profiling with a clinical decision support tool on healthcare resource utilization and estimated costs in the elderly exposed to polypharmacy. J Med Econ. 2016;19(3):213-28. Ahmed S, Zhou Z, Zhou J, Chen SQ. Pharmacogenomics of Drug Metabolizing Enzymes and Transporters: Relevance to Precision Medicine. Genomics Proteomics Bioinformatics. 2016;14(5):298-313. Patel JN, Wiebe LA, Dunnenberger HM, Mcleod HL. Value of Supportive Care Pharmacogenomics in Oncology Practice. Oncologist. 2018. Rost, S. et al. Mutations in VKORC1 cause warfarin resistance and multiple coagulation factor deficiency type 2. Nature 427, 537-541, doi:10.1038/nature02214 (2004).